Ever wish you could be part of those TV investigations, solving major crimes with stray hairs and chewed gum? 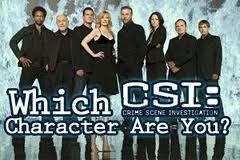 Today’s lesson suggestion is for all the CSI fans out there. 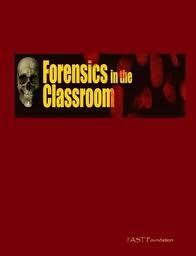 The American Academy of Forensic Sciences, in collaboration with the National Science Teachers Association, has created a free set of materials called Forensics in the Classroom. All you have to do is register for the site and everything can be downloaded at no cost. Reading the materials made me want to be in science class! Each forensics unit is complete with lessons, handouts, and even recipes and directions for setting up the “crime scenes.” (Who knew you needed a recipe for chopped liver imitation vomit?) Because the lessons are created in conjunction with the Science Teacher’s Association, the units embed both content and labs that are typically part of the core curriculum into scenarios like “The Cafeteria Caper” (solving a break-in in the school cafeteria using information on cell structure, enzyme function and more) and “It’s Magic” (solving the mystery of a kidnapped dog using properties of matter and living systems). Not only is this wonderfully creative teaching, but the lessons also allow students to both experience scientific investigation in a simulated setting and gain many of the skills they need to develop their own inquiries. And, of course, inquiries are the heart of scientific creativity. Check out the website. You’ll want to do science, too!